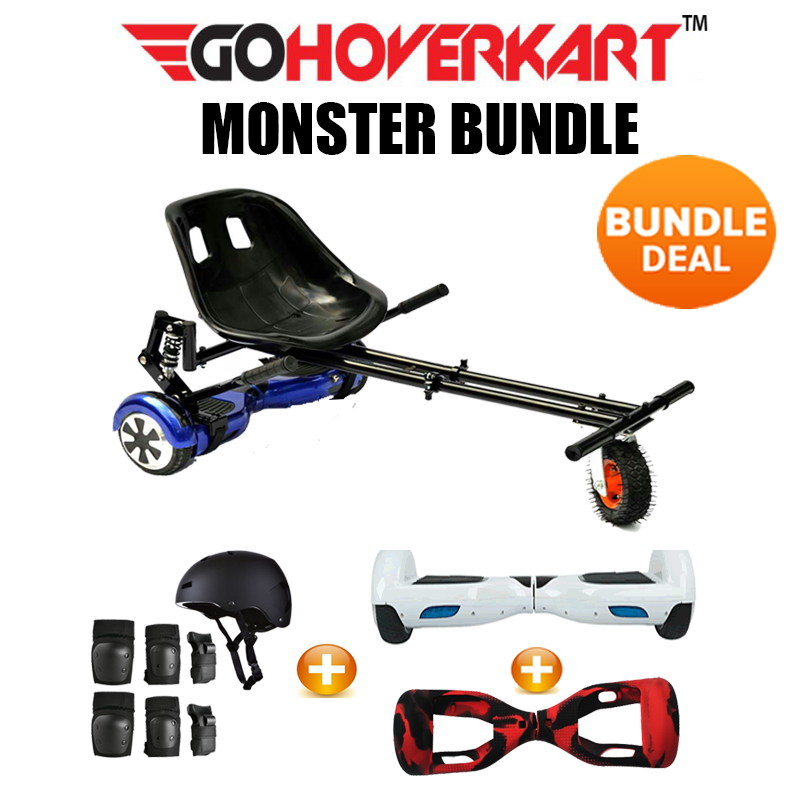 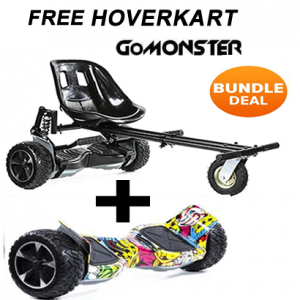 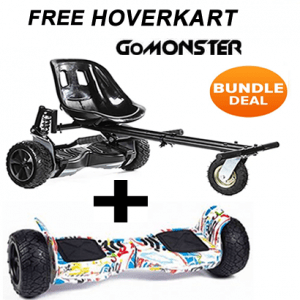 The Ultimate Hoverkart MONSTER Bundle! 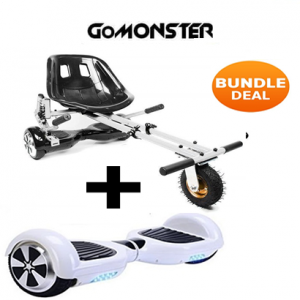 Everything you need to get you started is included in this bundle and more!! 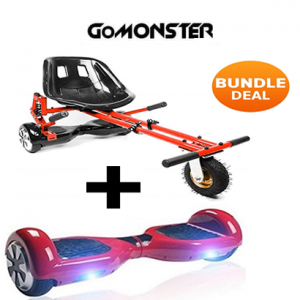 FREE Safety Gear bundle – Worth £34.99!! 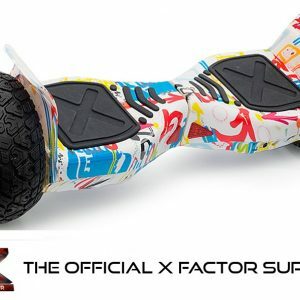 PLEASE NOTE – You must choose the colour of the silicone cover you would like then add it into the Purchase Notes before completing checkout. 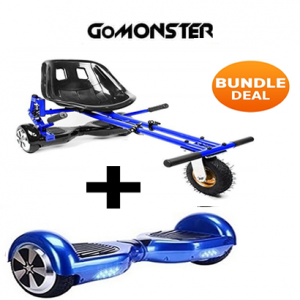 The Ultimate 6.5″ MONSTER Bundle! The MONSTER Bundle is the best bundle by far! 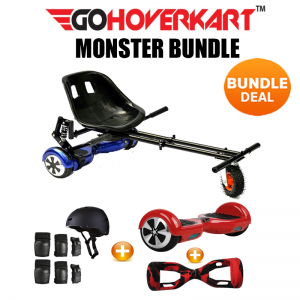 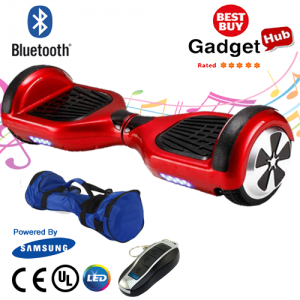 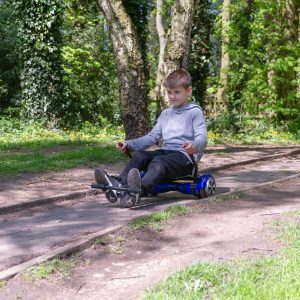 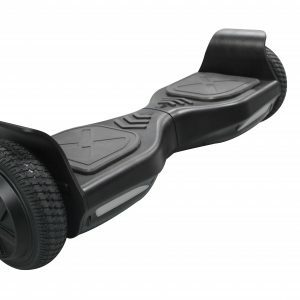 including everything you need to get your monster wheels rolling! 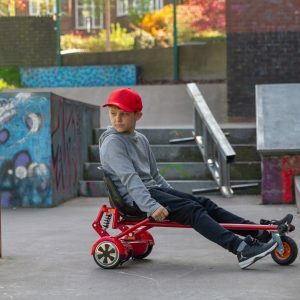 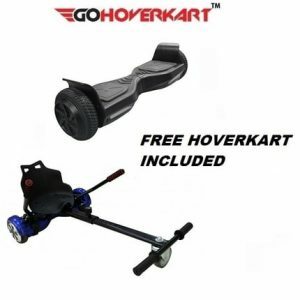 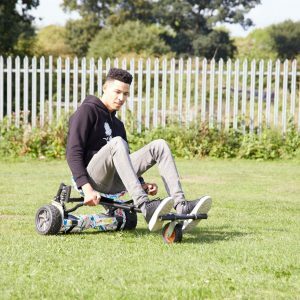 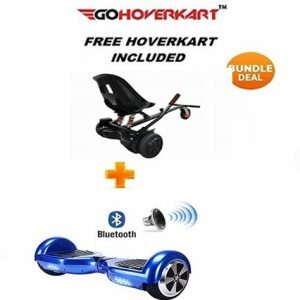 The official GoHoverkart MONSTER is the latest hoverkart design which has a sports style suspension which provides you with the most comfortable ride no matter what surface you’re on, a comfortable carbon racing seat and a huge front off-road wheel.